One fine afternoon, I was enjoying an episode of Numb3rs and I heard someone calling out my name faintly. It was my grandfather, sitting at a chair, profusely sweating and saying his vision had suddenly blurred. I calmly went to the refrigerator, took out some sweets and gave it to him (knowing very well that he had high diabetes). He came back to normal within a few minutes. The issue was that his blood sugar has suddenly fell, a condition known as hypoglycemia, symptoms of which include the ones he had. Being very experienced with this disease, I (and for that matter, my grandfather as well) knew for sure it was indeed hypoglycemia. High blood sugar, diabetes mellitus or just diabetes, is a condition where your either your pancreas stops producing insulin or your cells stop responding to the insulin produced. This is probably the worst disease ever to have happened to man; arguably even worse than cancer. Diabetes doesn't kill, but the complications arising from it do! It is interesting that the origin of the word diabetes can be tracked to 'excessive urination', which is of course, one of the symptoms. Heart failure, kidney failure and glaucoma are just a few (chronic) complications that diabetes can cause. Loss of hearing and a higher risk of strokes can also be linked to it. My (paternal) grandmother also had the same issues, which ultimately led her to lose her eyesight almost completely. And that was not the worst, she lost her life due to kidney failure. My grandfather does suffer from some of these, including the significant loss in vision. The bad news is that there's no cure for this. So, the only way is to prevent this disease (Type 1 | Type 2). Factors such as smoking, obesity, lack of physical exercise may lead to a higher risk of type 2 diabetes. 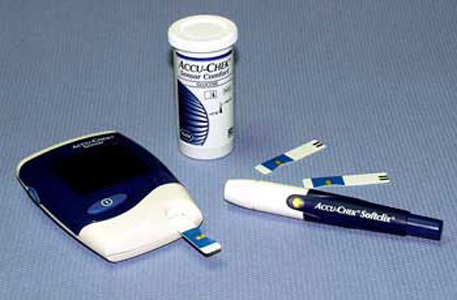 Type 1 diabetes, unfortunately, has no known cause till date! It's like once you have it, you can safely subtract a few years of your scheduled life! I am no doctor, nor am I interested in Biology, but my acquaintance with this disease can be dated back to my childhood. Since then, people around me have been battling this disease and I have gathered significant knowledge on the way! And it is that knowledge which urges me to write this so that people who are reading this will, at least, be careful in the future! To add, diabetes slows down the healing process in case of wounds, so the patients suffering from it, have to be extremely cautious..